Brisbane corporate catering is at the heart of our business, and we are passionate about delivering you outstanding product every time. With many years experience in Conference and Seminar catering, Ab Fab helps you make your event shine. Welcome to Ab Fab Black Label, where you will find innovative and exciting menus for your very special events. From cocktail parties to elegant fine dining, Ab Fab Catering Black Label will translate and deliver your event vision. All the information on this website is published in good faith and for general information purpose only. http://abfabcatering.com.au does not make any warranties about the completeness, reliability and accuracy of this information. Any action you take upon the information you find on this website (http://abfabcatering.com.au), is strictly at your own risk. 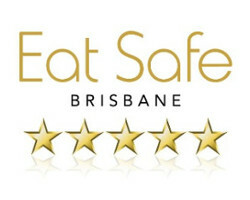 http://abfabcatering.com.au will not be liable for any losses and/or damages in connection with the use of our website.